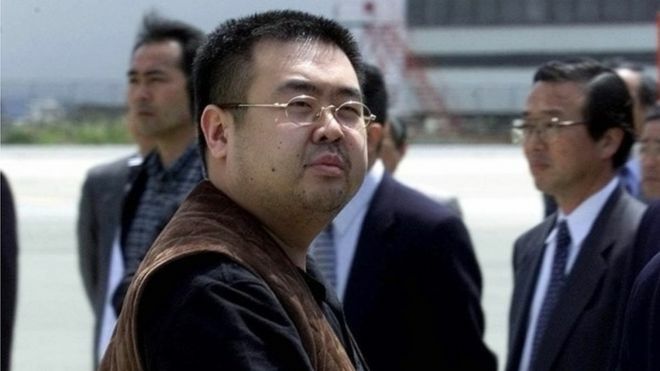 South Korea says it is certain that the half-brother of North Korea's leader Kim Jong-un has been killed in Malaysia, BBC says. Kim Jong-nam died after an apparent poison attack in the airport in the capital, Kuala Lumpur, on Monday. No motive has been confirmed and the attackers have not been identified. South Korea's acting President Hwang Kyo-ahn said if North Korea was found to be responsible, it would show its "brutality and inhumane nature". It would be the most high-profile death at the hands of the North Korean leadership since Kim Jong-un's uncle, Chang Song-thaek, was executed in 2013. Mr Hwang said South Korea was "keeping close tabs on North Korea's movements". North Korea has not commented on the death but officials from the country's Malaysian embassy have been visiting the hospital in Kuala Lumpur where Mr Kim's body has been taken. Mr Kim was attacked while preparing to board a flight home to Macau. His death was only made public on Tuesday. The chief police officer of Royal Malaysian police, Datuk Sri Abu Samad, has said investigations are still in progress and that a post-mortem examination is expected to be completed soon. He said Malaysian officials had not yet formally confirmed the identity of the deceased, as he was using a passport under a different name, Kim Chol. In response to reports that North Korea had asked to claim the body, he said there had been no official request. Police are studying security camera footage from the airport. Images circulating in the media have focused on two women seen alongside Mr Kim, who were later seen leaving the scene in a taxi.